After a week off to play catch up on my end, Seen in HD begins with probably the biggest story in media this year: Star Wars and Disney are one in the same. Our thoughts are it’s a positive thing, and we have our reasons. Warner changed up their policy of delaying rentals to video stores (by eliminating it) and lessening it to Redbox (to 28 from 56 days). In the area of 3D TV and 3D Blu-ray, things are looking up if sales are the sole indicator. Reviews include Prometheus and Medal of Honor: Warfighter. 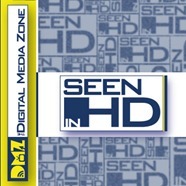 Check it out at the Digital Media Zone!